Everybody loves Pizza, right? Pizza is one of the foods that each individual has an opinion on which kind of crust, sauce, cheese and toppings to put together. When I was little, pizza was just starting to be introduced to my home town in Japan. (There was a bigger delay for small towns like mine before new things came finally reach from big towns at that time.) My mom put tomato sauce out of a jar and shredded cheese onto sliced French bread then toasted it. That’s it, really. I thought it was the best food that exists on earth Thankfully, my choices of food have tremendously broadened since then, but Pizza still ranks as one of my favorites. 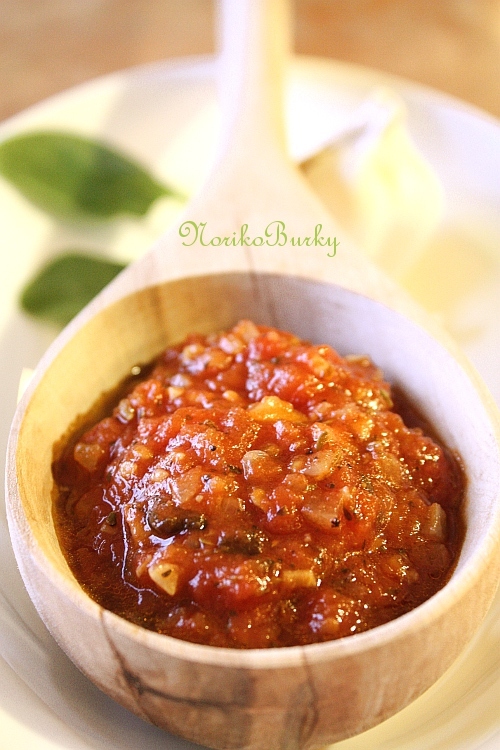 This tomato sauce can be used for pizza, pasta and many other dishes. Make a small cross cut on each end of the tomatoes. In a 5 qt. pan, bring water to a boil. Put in tomatoes and bring the water back to a boil. Wait for another 10 secs then immerse the tomatoes in to a bowl of ice cold water. Peel the skin. Using pulse button on food processor, puree the tomatoes to chunky/saucy consistency. Mince onion and garlic. Heat olive oil in frying pan over medium low heat, cook onion and garlic for about 8 mins. Add salt and pepper to taste. Add the pureed tomatoes and the rest of the ingredients. Turn the heat up to high. 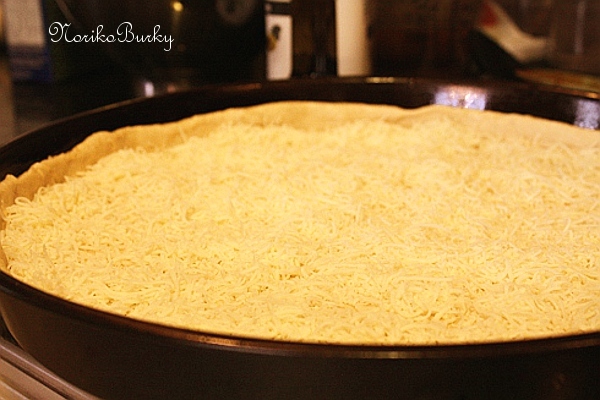 Once it starts to get bubbly turn the heat to medium-low and put the lid on. Cook for about 20 mins, stirring occasionally, until it reduced to half amount. Add salt if necessary. 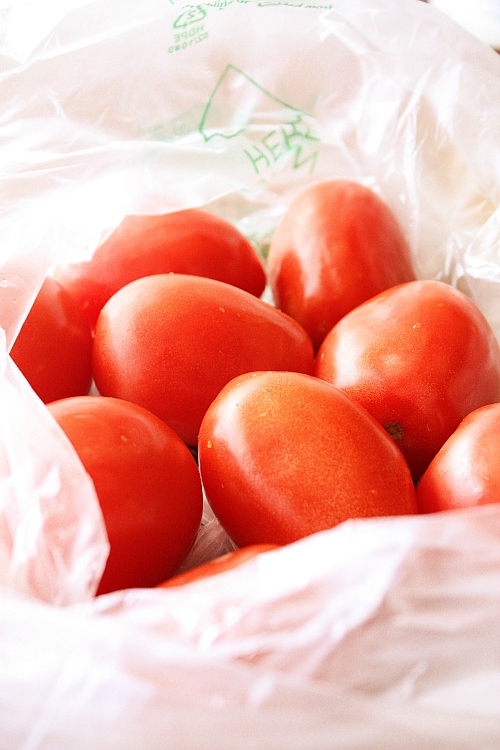 Fresh tomatoes waiting to be flavorful……mmm, yum. We got this crust recipe from another food blog Damn Good Food. We’ve been spoiled by this delicious recipe for so long and cooked it a countless number of times. I wonder if it’s from the cornmeal, because the dough is far less sticky and very easy to handle. 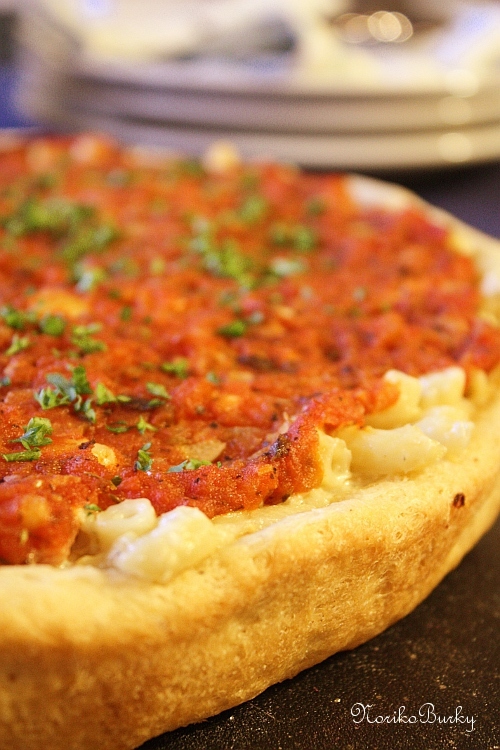 I love how Chicago style pizza puts cheese before the sauce instead of sprinkling on the top. This way I don’t have to battle with the crusty cheese peeling off from the slice after a bite. 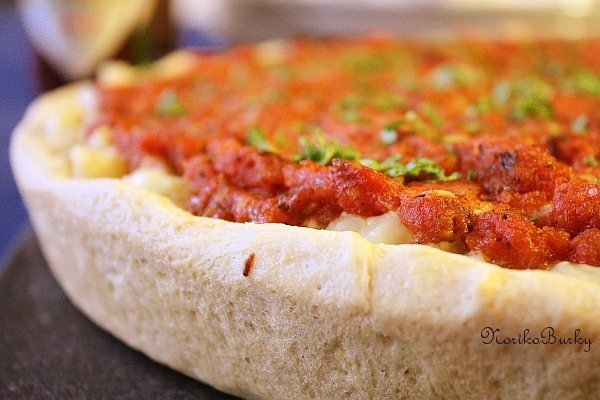 Go check it out for his fabulous Gino’s East Pizza Crust! 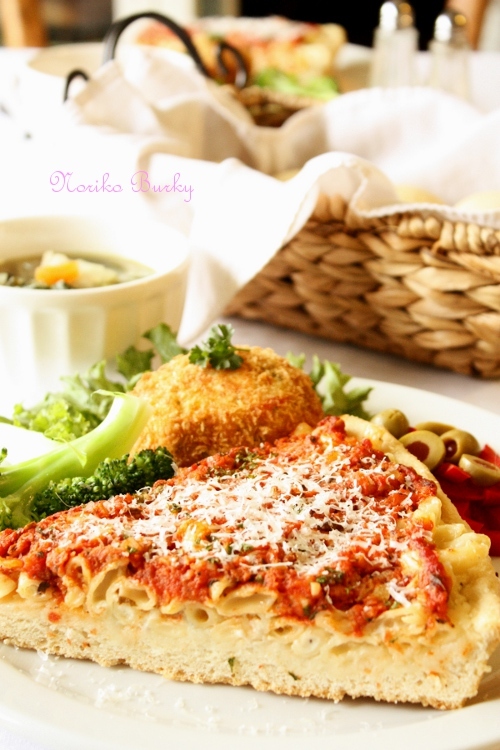 My name is Noriko, the cook and photographer behind NorikoBurky.com. My cooking is focused on healthy, tasty, visually appealing yet cost conscious dishes. (with the indulgence of junky stuff for a treat sometimes :) I hope to get to know people out there and share some good times.